From Miroslav Volf, one of the world's foremost Christian theologians—and co-teacher, along with Tony Blair, of a groundbreaking Yale University course on faith and globalization—comes Allah, a timely and provocative argument for a new pluralism between Muslims and Christians. In a penetrating exploration of every side of the issue, from New York Times headlines on terrorism to passages in the Koran and excerpts from the Gospels, Volf makes an unprecedented argument for effecting a unified understanding between Islam and Christianity. In the tradition of Seyyed Hossein Nasr’s Islam in the Modern World, Volf’s Allah is essential reading for students of the evolving political science of the twenty-first century. Miroslav Volf is the Henry B. Wright Professor of Theology at Yale Divinity School and the founding director of the Yale Center for Faith & Culture. His books include Exclusion & Embrace: A Theological Exploration of Identity, Otherness, and Reconciliation, winner of the 2002 Grawemeyer Award in Religion. 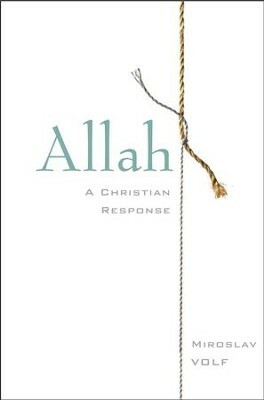 I'm the author/artist and I want to review Allah: A Christian Response - eBook.